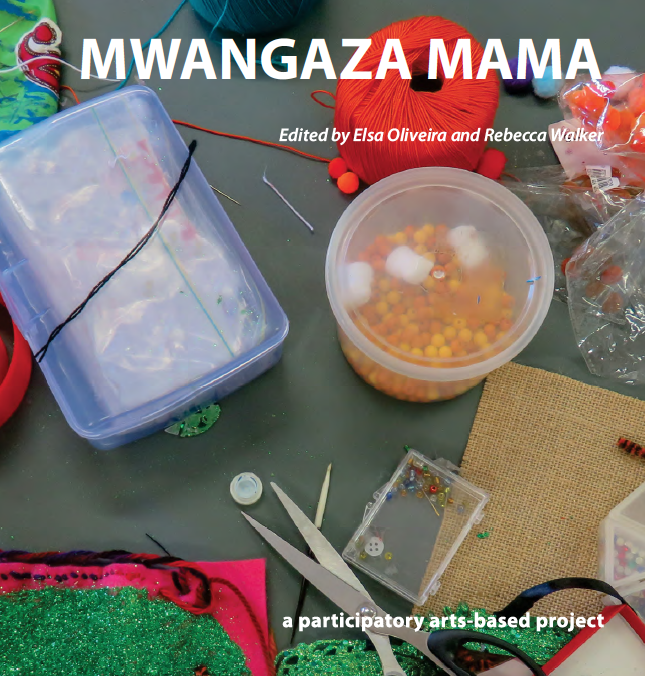 Mwangaza Mama is a creative storytelling project that was undertaken by maHp/ACMS postdoctoral researchers Elsa Oliveira and Becky Walker in collaboration with a small group of cross-border migrant women living in Johannesburg. Inspired by previous MoVE work, the main aim of the two-year project was to learn more about migrant women’s everyday experiences of the city by including them in the production of knowledge about issues that affect them. The textile collages and narrative stories produced by the women for public audiences weave through various aspects of their lives, taking the reader on a visceral journey of intense hurt and healing to self-recognition and self-power. Alongside these thought provoking works are reflections by the project facilitators and their colleagues who work in similar areas. Each contribution adds richness to the tapestry of this important book. Not only does it offer readers an opportunity to reflect upon the complex lives of women migrants, a population group that is often hidden from view, it also encourages us to reflect on the ways that stories are told and how different ways of telling can create new forms of awareness and activism. 0 Comments on "Mwangaza Mama (2019)"